Solar energy technologies fall into two categories, active and passive. Active solar includes photovoltaic cells and other systems that convert the sun’s energy into more usable forms, such as electricity, while passive solar covers home design features aimed to take advantage of the sun’s natural heat and position in the sky. Both types of solar collection systems have significant advantages over fossil-fuel heat and electricity generation methods. One of the best reasons to adopt active and passive solar technology is the reduction in your energy bills. Active solar systems can involve expensive hardware, and passive solar techniques may create remodeling costs for your home, but the reduction in your utility bills will more than offset the cost in the end. If you plan to stay in your home for more than a few years, solar can be a good investment for your household. If you are building or remodeling a home, adopting passive heating and cooling techniques can be significantly less expensive than using central air or a furnace. Trombe walls, designed with a heat-catching airspace to transfer warmth from the home’s exterior to interior rooms, can reduce or even eliminate the need for artificial heating, depending on your region. In addition, the open spaces conducive to passive solar heating can provide the airflow necessary to keep a home cooler in the summer without relying on central air conditioning. Active and passive solar also offer significant benefits for the planet. Reducing your reliance on traditionally generated electricity will reduce your carbon footprint and mitigate your effect on the environment. Solar electricity and heating systems produce no emissions and have a smaller environmental impact than wind and hydroelectric power. In the winter, passive solar techniques can help you stay healthier. In a traditionally heated home, a forced-air furnace wrings humidity from the air, leaving it dry enough to irritate mucous membranes and encourage virus propagation. The natural heating in a passive solar system does not dry out the air, reducing allergic reactions and sinusitis and maintaining a healthy moisture balance. Solar technology can also make your home more attractive to potential buyers. Homes designed to take advantage of active and passive solar techniques can command a premium on the real estate market from environmentally conscious buyers due to the financial and ecological benefits of the technology. According to a study by Lawrence Berkeley Labs, California homes with a 3,100-watt photovoltaic system sold for more than $17,000 more than comparably equipped homes using traditional electricity and heating systems. Kazmeyer, Milton. "The Advantages of Passive & Active Solar Technology." 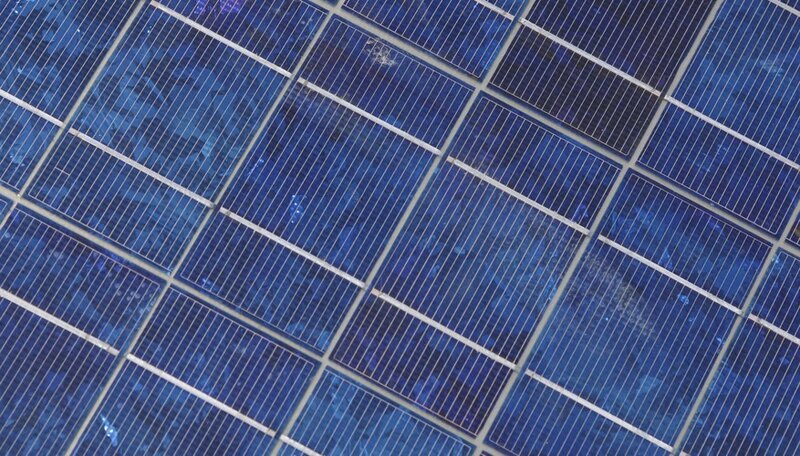 Sciencing, https://sciencing.com/advantages-passive-active-solar-technology-23375.html. 25 April 2017.